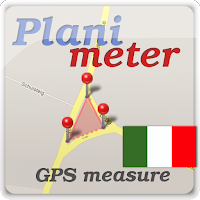 VisTech.Projects: Planimetro su Android: tradotto in italiano. i need to measure from one static point to as many as 6 points. they may vary from 50 yards for one out to 600 yards. can you explain how this can be done? I could use this free app on my iphone but not andriod.... frustrated! please contact support@vistechprojects.com with your request. No elevation in the current version of the app. App opens cantered at the location you quit the app during last session. Tip: you can quickly zoom in to the max level by dripping a pin on the map and then LONG TAP at edit button (- fit in feature), this trick mentioned in the app guide. Quero imprimir o mapa, como faço?